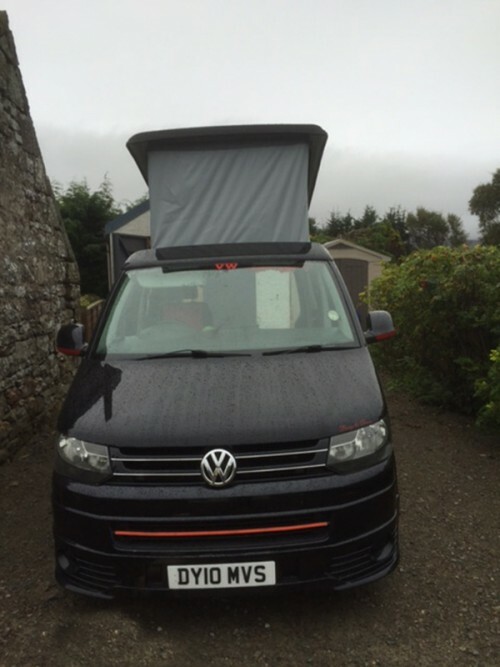 This page displays all the campervans that are available for hire in Sutherland . If you would like further information or to speak to the camper's owner about hiring their van please visit their Camperbug page, by clicking below. I am Blacknight, hire me today! Blacknight is a Volkswagen T5 TDI with an MVS elevating roof, smev cooker, sink, waeco fridge rock & roll bed 12v/240 hook up. He's finished with black and red leatheret seats and there's also a swivelling passenger seat, marvellous!